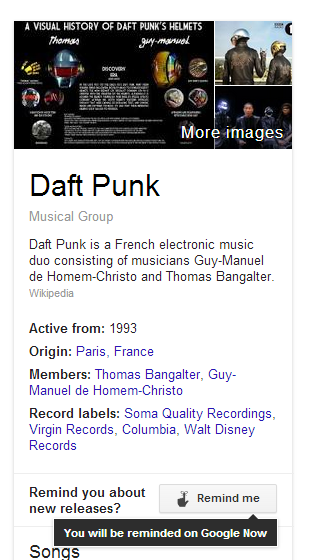 If you search Google for music artists, actors, books, TV shows and you’re logged in, you’ll see a new “Remind me” button in the Knowledge Graph card. 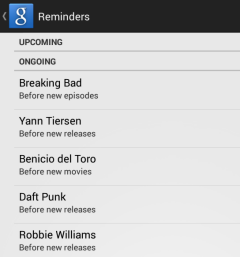 Click the button and “Google Now will remind you about new releases/movies/episodes on your phone or tablet”. Previous post: What happens when you mash up 3D printing and Amazon’s same-day delivery?